I'm in the mood for love ... ah, it's only because tomorrow is the first day of Spring! ... And hoping you're hearing wedding bells! Our 11th wedding anniversary was this month. I can't say we celebrated ... 'cause neither one of us remembered. I was in the shower one day and thought "what about our anniversary?" ... And then realized, our anniversary was two weeks prior! Not sure if that's a good or bad thing! LOL! ... And if you've been around long enough, you know I never had the wedding! When our 10th year anniversary was approaching, I thought of a Vermont July-summer wedding vow renewal, for kix really. It's not like I would be the innocent blushing bride, unaware of the trials and nuances of marriage. So I envisioned an open grassy field, with guests knocking back tequila and eating barbecue! LOL! ... Never happened, 'cause I was pregnant with our second by April! So maybe I'll come up with another idea to celebrate either our 15th or 20th anniversary, in the hope that we last! LOL! Past posts: The Practical Bride and Bridesmaid Dresses Under $50 ... and I love this post "Johanne & Dave - Wedding in Mexico! 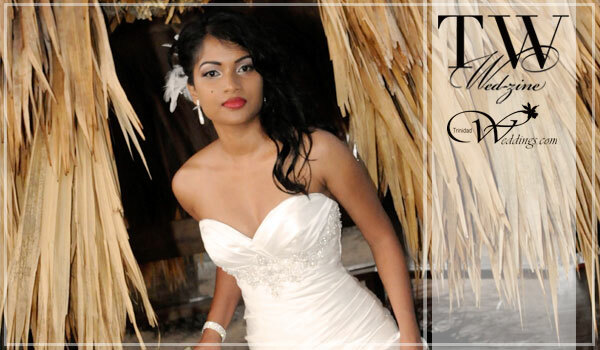 .. And since I lived in Vermont for 5 years, despite being born on one of the most beautiful Caribbean islands, St.Lucia ... and of course, I had to share another island which has been very good to me, Trinidad ... may these sites help you to have a wonderful wedding! I have been asked to do a White Dress (for plus sizes) post, I will do my usual 'Practical Bride' post for ladies of all sizes!